Last week, the Oregon Health Authority (OHA) published a bulletin, outlining new temporary testing requirements effective immediately until May 30th of next year. The changes to the rules come in the wake of product shortages, higher prices and even some claims of cultivators reverting back to the black market to stay afloat. According to the bulletin, these temporary regulations are meant to still protect public health and safety, but are “aimed at lowering the testing burden for producers and processors based on concerns and input from the marijuana industry.” The temporary rules, applying to both medical and retail products, are a Band-Aid fix while the OHA works on a permanent solution to the testing backlog. THC and CBD amounts on the label must be the value calculated by a laboratory, plus or minus 5%. A harvest lot can include more than one strain. Cannabis harvested within a 48-hour period, using the same growing and curing processes can be included in one harvest lot. Edibles processors can include up to 1000 units of product in a batch for testing. The size of a process lot submitted for testing for concentrates, extracts or other non-edible products will be the maximum size for future sampling and testing. Different batches of the same strain can be combined for testing potency. 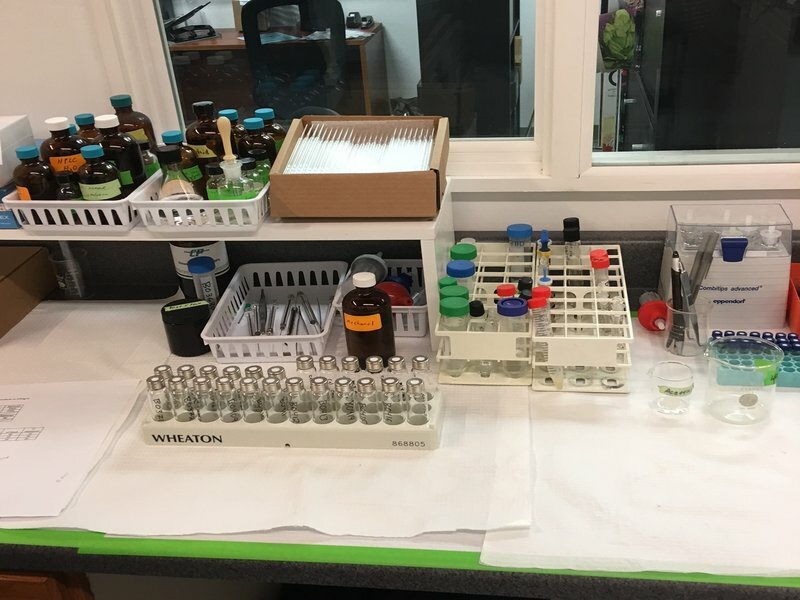 Samples can be combined from a number of batches in a harvest lot for pesticide testing if the weight of all the batches doesn’t exceed ten pounds. This also means that if that combined sample fails a pesticide test, all of the batches fail the test and need to be disposed. Butanol, Propanol and Ethanol are no longer on the solvent list. The maximum concentration limit for THC and CBD testing can have up to a 5% variance. Process validation is replaced by one control study. After OHA has certified a control study, it is valid for a year unless there is an SOP or ingredient change. 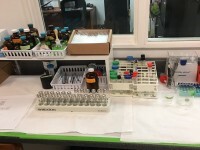 During the control study, sample increments are tested separately for homogeneity across batches, but when the control study is certified, sample increments can be combined. Test reports must clearly show if a test fails or passes. Producers can request a reanalysis after a failed test no later than a week after receiving failed test results and that reanalysis must happen within 30 days. The office of Gov. Kate Brown along with the OHA, Oregon Department of Agriculture (ODA) and Oregon Liquor Control Commission (OLCC) issued a letter in late November, serving as a reminder of the regulations regarding pesticide use and testing. It says in bold that it is illegal to use any pesticide not on the ODA’s cannabis and pesticide guide list. The letter states that failed pesticide tests are referred to ODA for investigation, which means producers that fail those tests could face punitive measures such as fines. The letter also clarifies a major part of the pesticide rules involving the action level, or the measured amount of pesticides in a product that the OHA deems potentially dangerous. “Despite cannabis producers receiving test results below OHA pesticide action levels for cannabis (set in OHA rule), producers may still be in violation of the Oregon Pesticide Control Act if any levels of illegal pesticides are detected.” This is crucial information for producers who might have phased out use of pesticides in the past or might have began operations in a facility where pesticides were used previously. 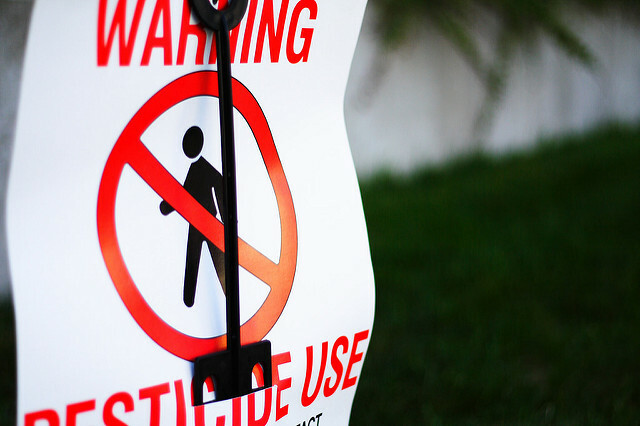 A laboratory detecting even a trace amount in the parts-per-billion range of banned pesticides, like Myclobutanil, would mean the producer is in violation of the Pesticide Control Act and could face thousands of dollars in fines. The approved pesticides on the list are generally intended for food products, exempt from a tolerance and are considered low risk. As regulators work to accredit more laboratories and flesh out issues with the industry, Oregon’s cannabis market enters a period of marked uncertainty. According to Jonathan Modie, spokesman for the Oregon Health Authority (OHA), the Oregon Environmental Laboratory Accreditation Program (ORELAP) was anticipating over 30 cannabis laboratories applying for accreditation and they doubled their staff from two to four to prepare for the uptick in applications. 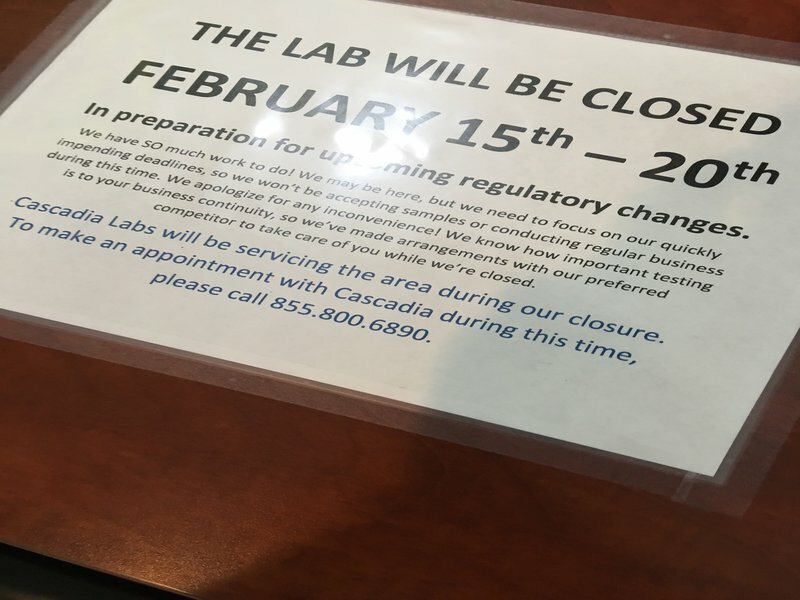 In June, the agency had zero labs applying for accreditation but within two months, 37 labs applied. 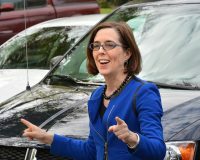 However, the Oregon Department of Environmental Quality (DEQ) just provided three additional staff members on Monday to help with the application process, says Modie. With the additional staff members, Modie is hopeful this will jumpstart the program. “We really appreciate our collaboration with the DEQ and look forward to boosting our capacity a bit to help us get through this busy time,” says Modie. Part of the reason some laboratories might have trouble meeting prerequisites is simply because the requirements are very strict. “The process involves submitting a quality manual, standard operating procedures, method validation, submitting proficiency testing data and finally undergoing an ORELAP assessment by our staff, so it is a very rigorous process,” says Modie. “This speaks to our concern for making sure they have the right systems in place so public health is protected.” Modie said there were at least three labs that did not pass the assessment. 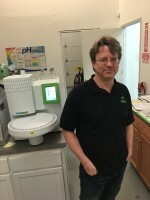 Bethany Sherman, chief executive officer of OG Analytical, believes the hardest part of the process involves getting accredited for testing pesticides. 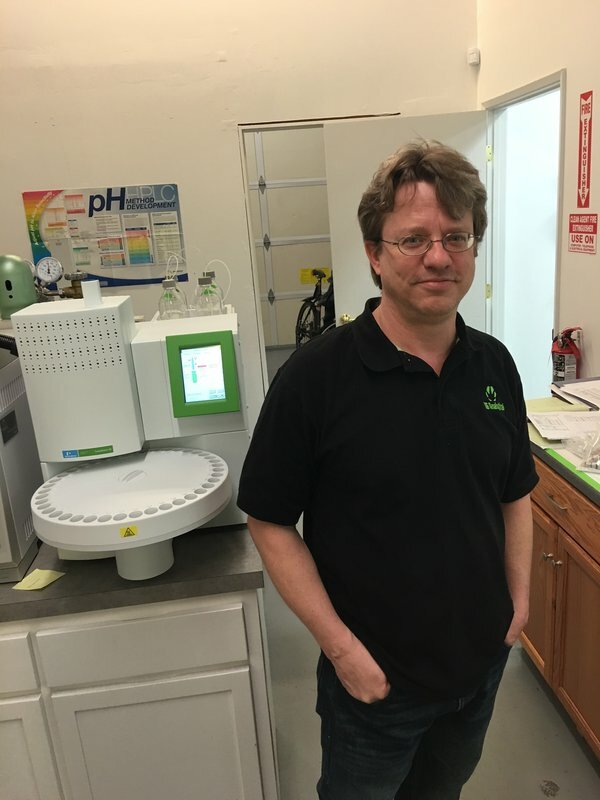 OG Analytical, based in Eugene, Oregon, has already received their accreditation, one of the first to do so. “The pesticide testing requires our most expensive instrumentation and the sample preparation for testing pesticides is the most time consuming,” says Sherman. “Not only does it require very specific instrumentation, it also requires a real know-how and expertise to ensure we are cleaning samples appropriately, minimizing background noise and looking at the pesticides in trace quantities.” According to Sherman, laboratories are also left to their own devices to develop methodologies specifically for the cannabis matrix, adding to the difficulties. The Oregon Health Authority (OHA) recently implemented a set of temporary rules effective through June 28th of this year with the goal to establish a set of regulations for cannabis testing by October 1st. An investigation by The Oregonian highlighted some of the previous problems with cannabis testing in the state. 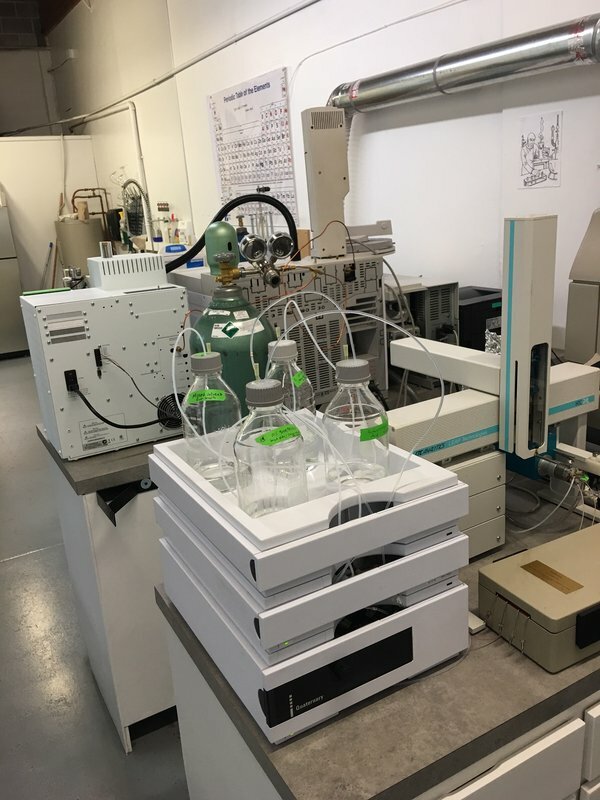 The most impactful rule changes include The NELAC Institute (TNI) mandatory standards for laboratories that the Oregon Environmental Laboratory Accreditation Program (ORELAP) will use to accredit labs. Initial rules in the Oregon medical cannabis program, HB 3460 from 2013, did not specify accreditation rules for cannabis testing. ORELAP currently performs accreditation for lab testing under the Clean Air Act, Clean Water Act, Resource Conservation and Recovery Act and the Safe Drinking Water Act. The new cannabis testing rules will give ORELAP the authority to accredit and regulate cannabis labs in the state of Oregon. The timeline for implementation with temporary rules allows state regulators to work with laboratories to perform accreditation and bring laboratories up to speed. According to Shannon Swantek, ORELAP compliance specialist, products that dispensaries sell in medical and recreational markets are required to be tested under the new rules and in the analyte lists by an ORELAP accredited laboratory, starting on October 1st. One of the biggest changes coming to Oregon cannabis testing is the new sampling requirement. “An accredited laboratory employee must take the sample because sampling is where a lack of training or outright fraud is skewing results, which occurs when a grower brings in a sample not representative of the batch,” adds Swantek. Sample preparation methods will also be required to be more robust to meet the action limits of pesticide testing in particular, helping to identify lower levels like parts-per-billion, according to Swantek. Reports were also lacking key information in the past. The new rules will require more information such as the procedure used, the analyst carrying it out, dilution factors and any other information you need to theoretically reproduce the result. This will result in more accurate labels on products. Many are concerned that the new lab testing requirements will raise the price of testing too much. In reality, those current prices are not realistic for accurate data, which points to the rampant fraud that ORELAP is trying to eradicate. “The old rules were written in such an ambiguous way that the prices were set by laboratories without a proper quality program or even without proper instrumentation,” says Swantek. According to Voelker, other industries have learned to adjust their costs with stringent lab testing rules. “I get that no one wants to pay more for lab testing, but the reality is that joining the world of commodities comes with additional costs to ensure consumer safety,” says Voelker. These rule changes will undoubtedly bring more consistency to Oregon’s cannabis industry with accurate lab testing and help the OHA shed more light on issues surrounding consumer safety.